After Daniel’s intriguing post yesterday on designer Greta Magnusson Grossman, I thought I’d bring another one into the mix in the form of Charlotte Perriand. This lovely lady was the figure behind a lot of Le Corbusier’s works and was a big collaborator with Jean Prouvé throughout her career. 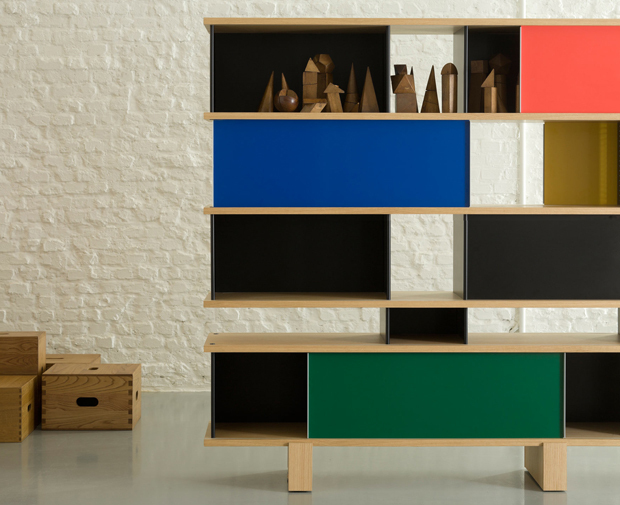 I’ve actually put together a post previously on Charlotte Perriand and her life but today I’m focusing mainly on her cabinets and bookshelves. The reason why I’m focusing on these is because of their interesting back story and also because they’ve been reissued this year by Cassina, a producer of fine furniture. It’s quite exciting to see since Domus recently released an article/interview with Charlotte’s daughter Pernette about the complications of legal protection for the authorship of one of her projects. 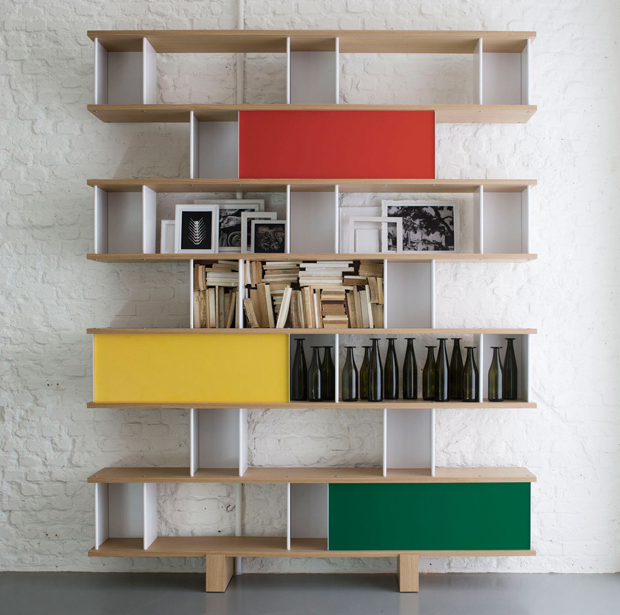 This specific type of bookshelf was one that a group of young people started selling on the market as a Jean Prouvé collaboration with Charlotte which was actually a misconception since it was designed by Charlotte and produced by Ateliers Jean Prouvé, Jean Prouvé’s factory. As everything snowballed all of the information was lost in translation and even the Museum of Modern Art in New York had the wrong description in their cabinet, quite embarrassing if you ask me. For the background behind this I would definitely recommend checking out the Pernette Perriand-Barsac interview on the Domus website, it’s a great read. So now that it’s all come to light and they’ve finally sorted out the complications, Cassina have been able to add this set to their collection of Perriand works which is great feat since it’s one of Charlotte’s best works in my opinion. She can design one hell of a bookshelf! 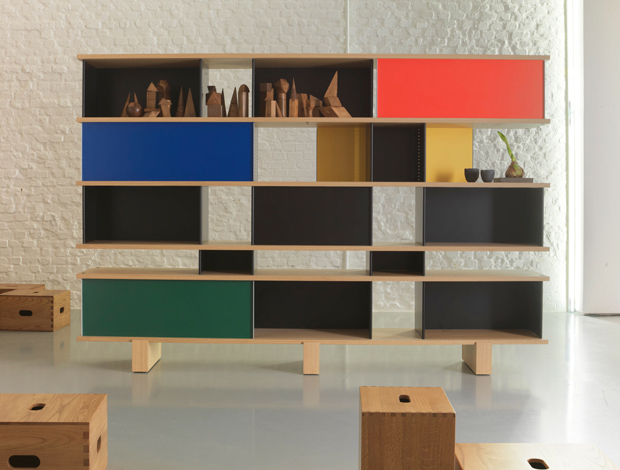 The basic components of this piece include wooden oak shelves and vertical elements in aluminium which have been anodised or painted black. Charlotte studied the heights and different levels of the shelves to make sure you could organise various objects and books in certain locations, with each section offering something different. 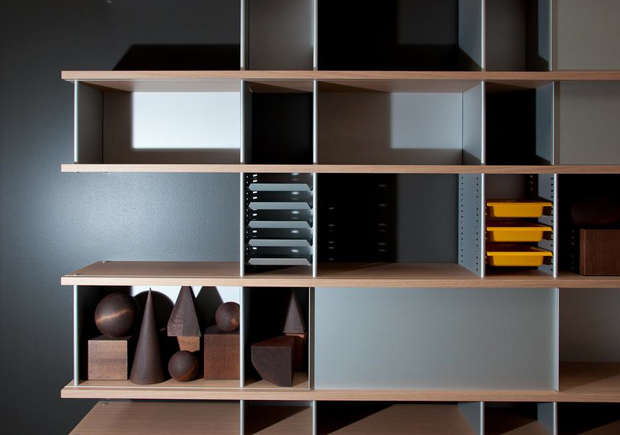 I really like the fact that you can remove sliding trays and uncover hidden sections, it’s such a playful piece of furniture but at the same time highly functional. It also has great symmetry and would definitely be a focal point in any room. I hope you enjoy the imagery that I’ve collected, find out more by clicking the links throughout this article and the whole collection can be viewed through the Cassina website.